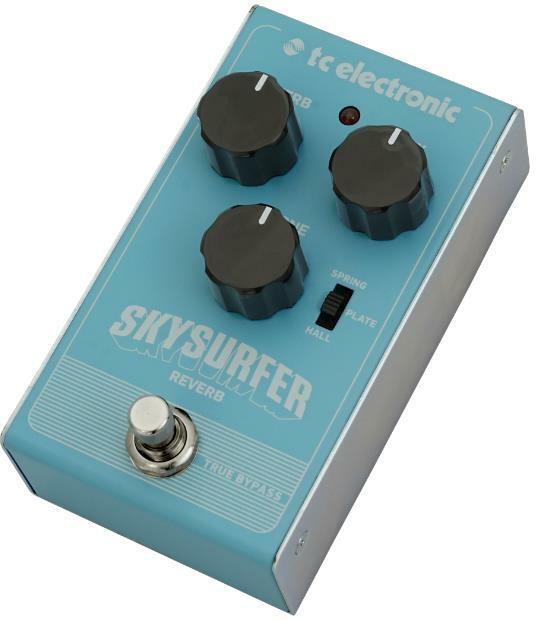 Whether you want to dive into the deep, churning ocean or soar through the spray of the surf, the TC Electronic Skysurfer Web is your key to creating the perfect reverb waves. Skysurfer Web is a studio-quality reverb pedal and sports three versatile reverb algorithms - Spring, Plate and Hall so you can experience anything from from deep, splashy tones to an ambient and earthy spaceflight for an unforgettable performance. To help sculpt your sound exactly to your liking, this pedal also features three simplistic rugged knobs (Reverb, Mix and Tone) so control is completely in your hands. It is also equipped with a true bypass circuit which means there is no impact on your core tone when this pedal is switched off. Skysurfer is housed in a durable metal chassis to protect it from internal and external damage. It also has top mounted I/O jacks to maximise space on your pedalboard so you can use as many pedals as you desire!